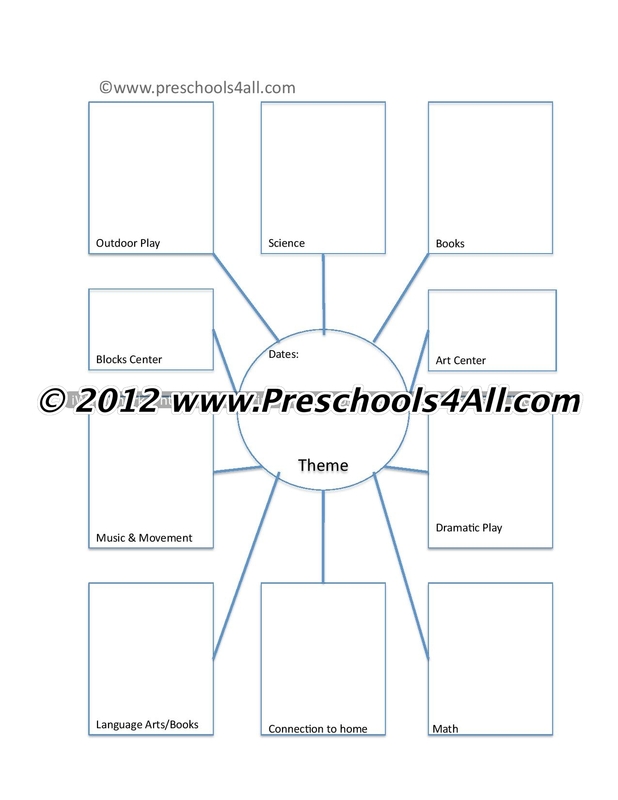 Over the years I have collected a number of preschool lesson plan templates. At the beginning of each school year I take the time to revise and improve them. Preschool lesson plans are based on individual teaching styles, personalities and needs. One lesson plan format that works well for me might not work well for someone else. 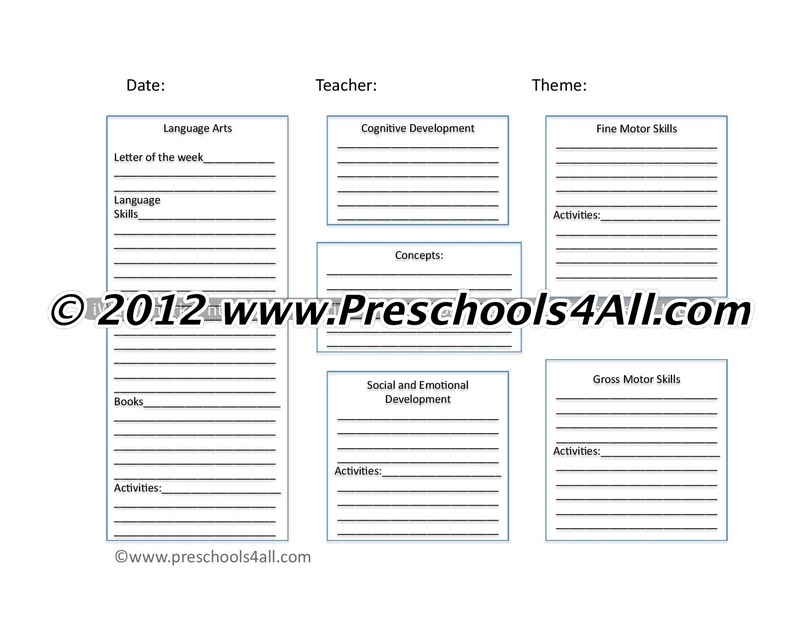 I alternate between five different pre-K lesson plan formats. Each one serves a specific need and helps me achieve my goals for the children. Fill out this short form below and you will receive my templates directly to your e-mail in a few minutes. I hope you will find them useful and please feel free to drop me a line and let me know if you enjoy using them or how I can improve them. Good luck with your planning and don't forget to visit my preschool lesson plans page for tons of ideas on different themes. This daily preschool lesson plan template for preschool are excellent formats for teacher who feel the need to write down every moment of the day. These lesson plans are good practice and are generally used by first time educators. If you've been teaching for a long time it might be a good idea to get back to basics every once in a while and review your lesson planning by using this format. ...I also created a simple blank template that you can download by clicking here. This page has a copy of my weekly lesson plan book template style that you can print and use. By using this basic preschool lesson plan you are able to have a broader picture of your teaching goals and ways you can help the children on their road to progress. As you begin writing your weekly lesson plan make sure to refer to the Multiple Intelligences Theory by Howard Gardner and to include activities that cover the various types of intelligences and variety of learners. I do so by writing down which centers are open during which time of the day and alternate between the centers during the week. Art Center - Mirrors, crayons, paper - self-portraits. Blocks - Instructions: Build a person using blocks. Personally I like using this type of lesson plan format along with Backwards Design. If you are unfamiliar with 'Understanding by Design' I highly recommend becoming familiar with this method. It consistently assists me in focusing my teachings on the main ideas and values I explore with the children and helps me avoid making meaningless projects. Writing your lesson plan formats based on the child development milestones is a good practice when teaching young children. Focusing your preschool lesson plans in such a way will help you keep in mind your goals for the children. Visit my page on stages of child development to review the range of development for children ages 3 to 5. What is the main concept you are trying to teach? Let's say it's The Importance of Trees. Now begin brainstorming various activities for each of the milestones keeping in mind the children in your class (your little clients). What are their personal needs and interests? For example, Johnny (it's always Johnny) loves to build and his fine motor skills are weak. In the box marked 'Fine Motor Skills' you can write: Add small Lego trees and little people. By using small objects you will help Johnny develop his fine motor skills and he will be able to show that trees give us shade all while playing with a toy that he loves. Here is another example, a more general one. One of your goals is to teach the children measurement related words (near, far, long, short). In the box marked 'Language Skills' write down the words you will focus on during this unit and ways you will introduce these words to the children. For example: "Run closer to the tree", "stand near the tree", and so on. In the center of the template you write your theme. 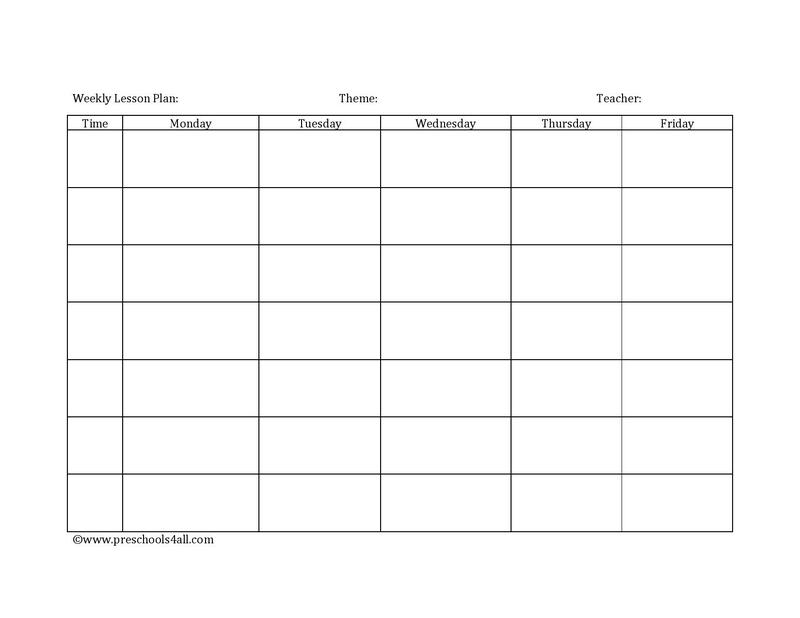 You then fill out each box with the activities you plan for the week for each learning center in the classroom. Here is a sample of some of the activities you might plan for the theme of "Me and My Family"
Build a house in the sand box. Creative corner turned into a home. Self portrait and draw your family. Count and write the number of people in your family. Bring in a photograph of you and your family.